Is the DENON DJ SC5000 Good Enough To Take On Pioneer's CDJs? It has been about a year now since the new DENON DJ standalone system hit the market, and industry support is growing immensely. Even Tiësto has made the switch to the new media players and matching X1800 mixer. Recently, we got a chance to spin on the SC5000 players and now want to share our thoughts. 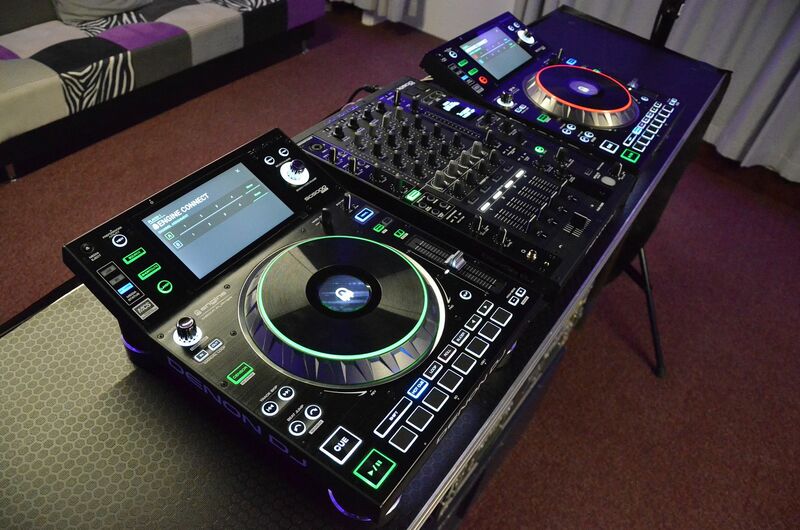 Pioneer has had a stranglehold on the multi-media players market since the CDJ1000 became the club standard deck for DJs in the early 2000s. The initial goal of the CDJ1000 was to give DJ’s a way to take hundreds of tracks, or more, to a gig and still scratch, spin and scrub just like on a record player, without having to carry crates of heavy records. 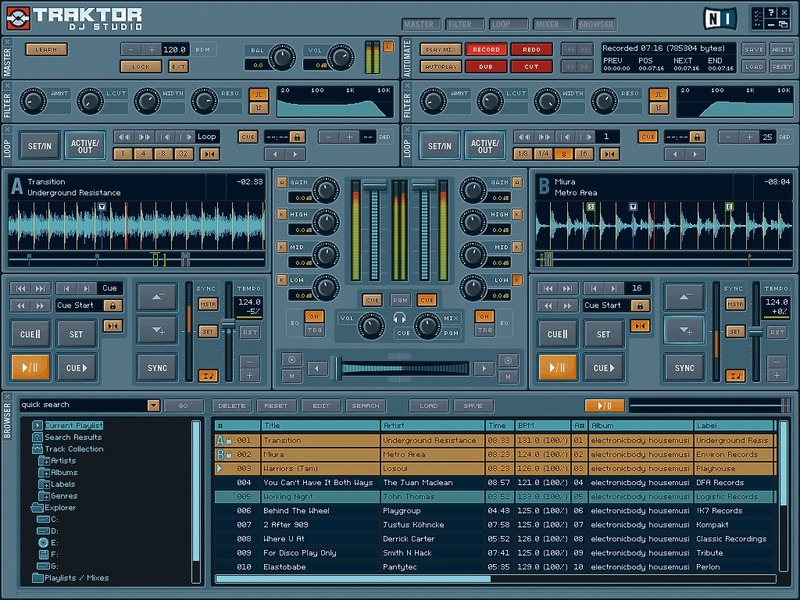 They enjoyed mega success but at the same time, groundbreaking software programs like Traktor and Virtual DJ were released, and DJ’s now had a chance to have fun without expensive, specialized gear. These digital systems were even offered as free versions in some cases. Within these computer programs, everyday people could get their creative juices flowing and manipulate music with effects never before imagined. Many beginners were getting hooked, and booked, dropping hundreds on entry-level DJ controllers with bundled software instead of thousands on club standard decks/mixers. Some were even pirating the software and foregoing the MIDI controller altogether since even the most entry-level pieces of gear were still $250/each. Why pay more for decks that offer fewer features? Along the way, other manufacturers like Stanton and Numark offered their own CD player solutions but none were ever truly respected by professional club DJ’s. As laptops became more and more accepted in the DJ booth, Pioneer was busy riding the wave of their professional CD/multi-media players. In 2007 they released their first USB & MIDI capable deck, the CDJ400, and launched a new trend of DJ’ing with portable USB sticks. Fast forward ten years, and from the CDJ400 we now have the DENON SC5000, a player that doesn’t accept CD’s and was designed with the same feature sets laptop DJ’s know and love. At first glance, the SC5000 digital media player looks like the classic CD player DJ deck. The hand-sized jogwheel, right-side-located pitch control, vertically stacked cue + play buttons and top display all are classic design cues shared by Pioneer, DENON DJ, Stanton, Numark and others over the years. DENON did not reinvent the wheel by any means, but they did offer a product good enough to shake up the industry standard. Compared to the Pioneer CDJ2000NXS2, both players share the same dimensions, displays, and DAC’s (digital audio converter), but the real differences lie on the inside. While the Pioneer flagship CDJ is a brilliant music player the DENON SC5000 is more of an innovative computer, able to analyze tracks on its own through its three USB ports. DENON dropped the CD drive and instead added a special function where each deck can play 2 different tracks simultaneously, a feature previously found on the DN-S5000 and known as the “alpha track” function. The original “alpha track” was difficult to use due to overlapping button functions and confusing menu commands, but the new function is extremely straightforward. DENON solved the problem by providing A & B “player layers”, each with their own color schemes. This function transforms the player from one deck into two identical ones, each with the same button functions and controls; much like the Traktor S4 or Pioneer DDJ SX/SX2/SX3. Like their predecessor the DN-S5000, which featured a motorized belt-drive jogwheel, the SC5000 jogwheels also have features unmatched by their Pioneer equivalents. In the center, where Pioneers show a digital player position indicator, the new DENONs can display album artwork with an industry first center LED display. Additionally, the DENON player can analyze tracks on its own. Other basic improvements over the current Pioneer nexus decks are heavier-weight pitch fade controls, illuminated USB ports, and metal construction jog wheels. Real innovation is found at the bottom of the players, where eight soft-touch launchpads are placed. Functional as cue points or loop markers, and similar to the setup on Pioneer’s XDJ-RX1 and RX2, these launchpads can also function as roll and slicer effects. The roll and slicer effects are commonplace on advanced Serato DJ controllers, like the Pioneer DDJ-SX2, but have not been featured before on standalone units; the closest accommodation is the “loop slicer” effect on the Pioneer XDJ-RX series. Owner / Founder of AC AUDIO.